PHED Recruitment 2018 Notification: The job hunters who belong to Chhattisgarh State those can look at this article once. The Chhattisgarh Government had issued PHED Recruitment 2018 Notification for 144 Hand Pump Technician vacancies in different areas. Applicants who want to know more information about Area Wise Vacancy Details, Age Limit, Age Relaxation, Salary Details, Selection Process, Education Qualification, Application Fee, Steps To Download, etc those can check PHED Recruitment 2018 Notification or this article. For the convenience of applicants, we had provided complete latest details about above aspects in a detailed manner. Once know the eligibility Criteria Details then apply for the post before the last date that is 7th March 2018through offline mode. Scroll down the article and capture entire information about PHED Recruitment 2018 Notification from this page. Are you willing to apply for PHED Recruitment 2018 Notification of Hand Pump Technician post? Then aspirants must complete their 12th/ ITI in recognized University. In the below section, we had clearly mentioned the complete details about Education Qualification. The job seekers also check the official notification once. Because of the Education Qualification important key point to applying for the job. So candidates carefully check the PHED Recruitment 2018 Notification or this article very clearly to know the information about Education Criteria. 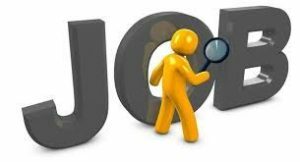 Contenders who are eligible for Hand Pump Technician post those don’t lose this opportunity because this is the right time for the job seekers to fulfill your dream by getting the job in Public Health Engineering Department (PHED). So applicants go through the complete article and capture entire details about PHED Recruitment 2018 Notification then apply for the Hand Pump Technician post. The 144 Hand Pump Technician vacancies are divided into Korea, Surguja, Jashpur area wise. Aspirants can apply for PHED Recruitment 2018 Notification of Hand Pump Technician post their area wise. So we had provided area wise Recruitment Notifications at the end of the article. Based on job hunters area, apply for the post and submit the application form before 7th March 2018 is the last date for submitting the application form through offline mode. For the sake of aspirants, we had provided complete details about how to apply for PHED Recruitment 2018 Notification in the below section in a detailed manner. Applicants have any doubts about application form submitting can check the below section and apply for the Hand Pump Technician post. Aspirants stay tuned to our web page Sarkari Recruitment or the official web page of the Public Health Engineering Department (PHED) to know more details about this article rather than this information. Applicants who ready to apply for PHED Recruitment 2018 Notification of 144 Hand Pump Technician vacancies those face the only one selection process that is nothing but an Interview. The job searchers who will clear the selection process with minimum qualifying marks those take a Rs. 22,400/- as the salary. Once applicants got the job in Public Health Engineering Department (PHED) those don’t worry about your future. So aspirants don’t lose this opportunity. Candidates have any doubts about PHED Recruitment 2018 Notification can check the official notification whether this information is correct or not. We have to ready for update this page with the latest information about this article as soon as possible. So contenders keep in touch with our web page or the official web portal of the Public Health Engineering Department (PHED) to get the latest updated information about this article. Applicants must complete their 12th/ ITI or equivalent qualification in recognized University/ Board with minimum aggregate marks. Candidates have any doubts about Education Qualification then check the official notification once. Aspirants can check the official notification to know the details about Age Relaxation. The officers of Public Health Engineering Department (PHED) fix the Age Relaxation based on the category as per norms of Chhattisgarh Government. Applicants have to face Personal Interview to get Hand Pump Technician Job in Public Health Engineering Department (PHED). To know details about Application Fee refer the PHED Recruitment 2018 Notification once. Because the application fee varies for all category aspirants. First of all, aspirants open Public Health Engineering Department (PHED) official web portal phed.cg.gov.in. Click on the PHED Recruitment 2018 Notification link which displays on the home page of the official web page. Read the Notification very clearly and download the application form pdf file. Also, take a print out of the Application Form. Fill the application form with exact details. Recheck the details once again and attach the required documents to the application form. Finally, post the Application Form to the exact postal address of the Public Health Engineering Department (PHED) before the last date. We hope that above information is enough for all the job searchers who ready to apply for PHED Recruitment 2018 Notification of Hand Pump Technician posts. Applicants want to know more details about Result after completion of the selection process those can check the Sarkari Result on our web page or the official web portal of the Public Health Engineering Department (PHED) at regular intervals. We will update this article as soon as possible with the latest updates about Results once the Result is out. Candidates can leave a co0mment in the below section to know more information about this article.